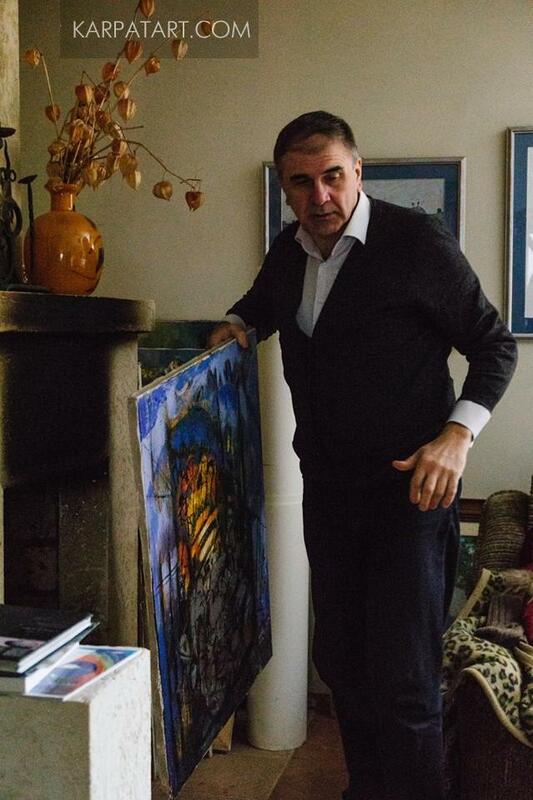 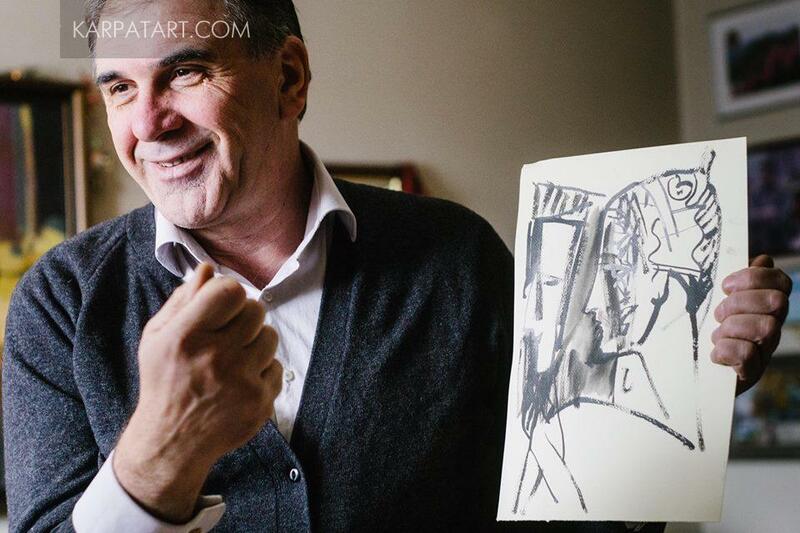 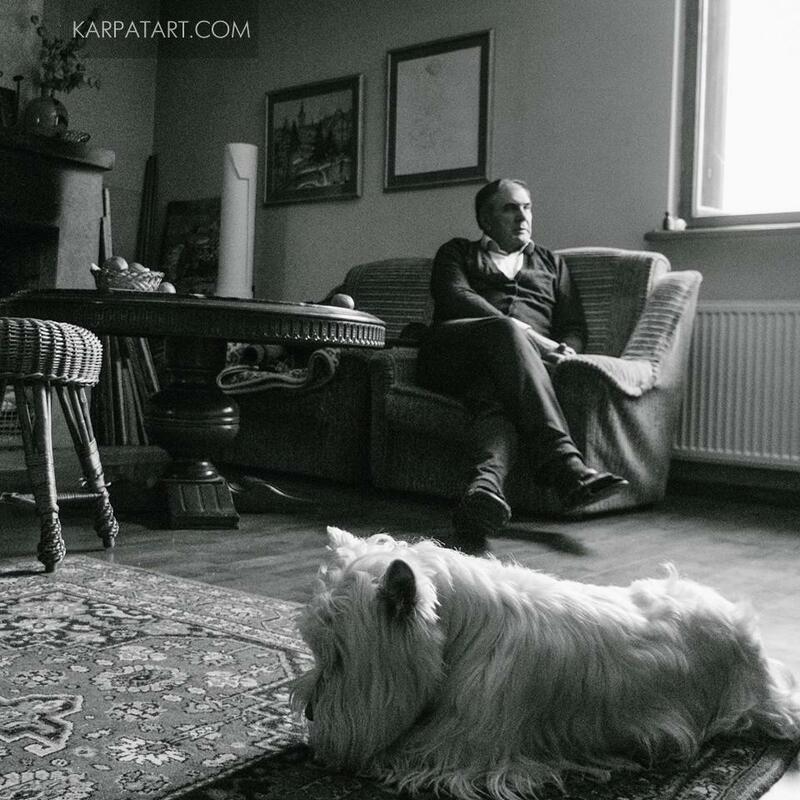 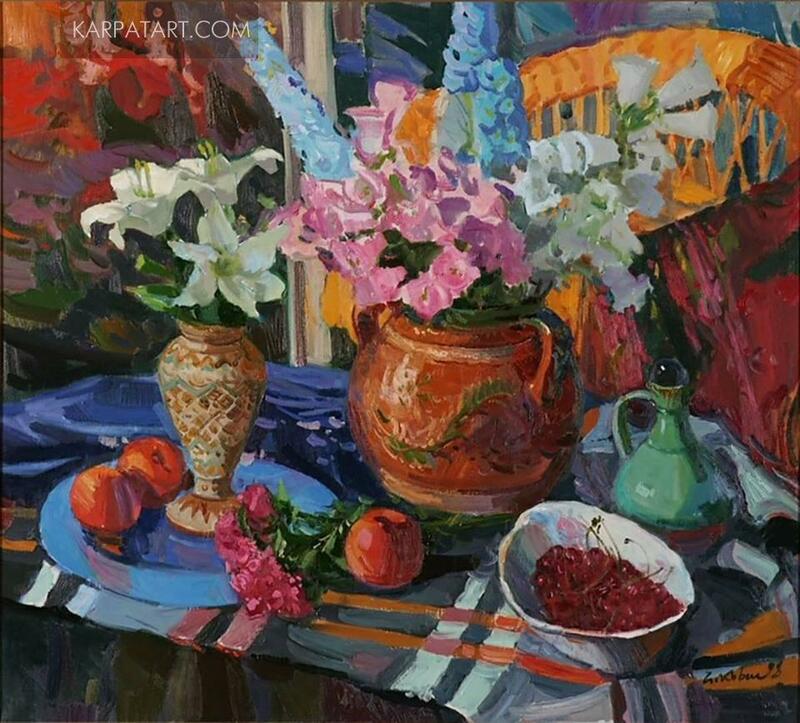 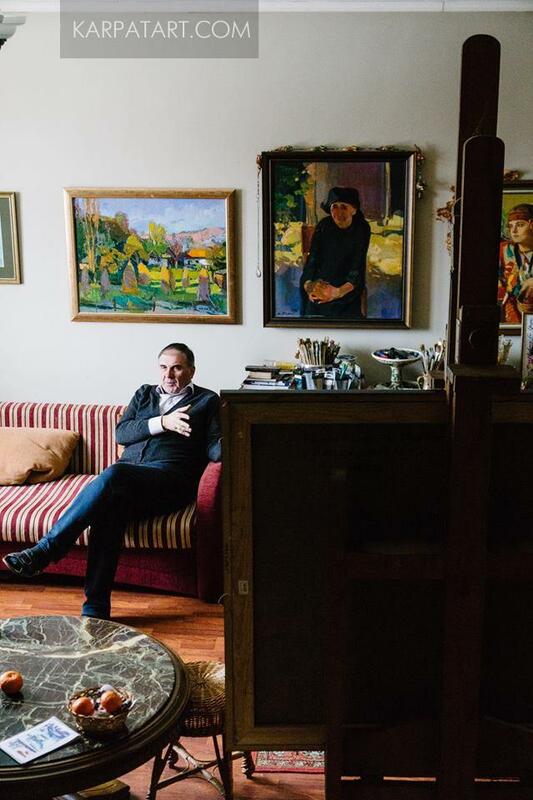 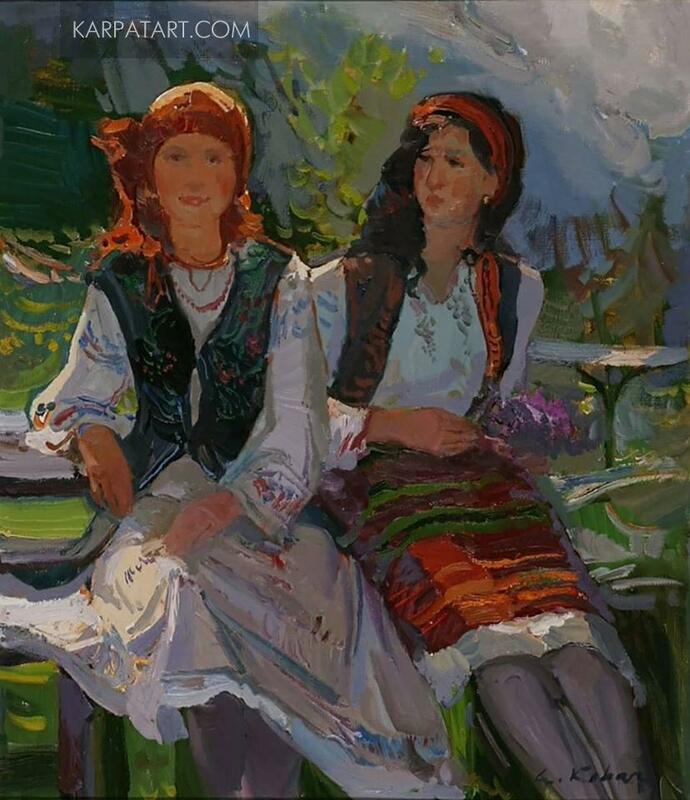 Anton Kovach (born in 1962) is a famous contemporary Transcarpathian painter, member of the National Union of Artists of Ukraine, laureate of the Regional Prize named after Y. Bokshai and A. Erdeli. 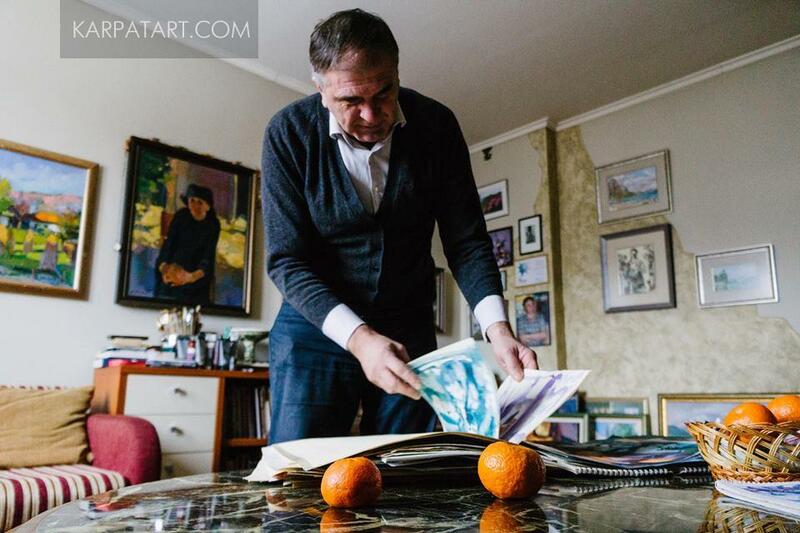 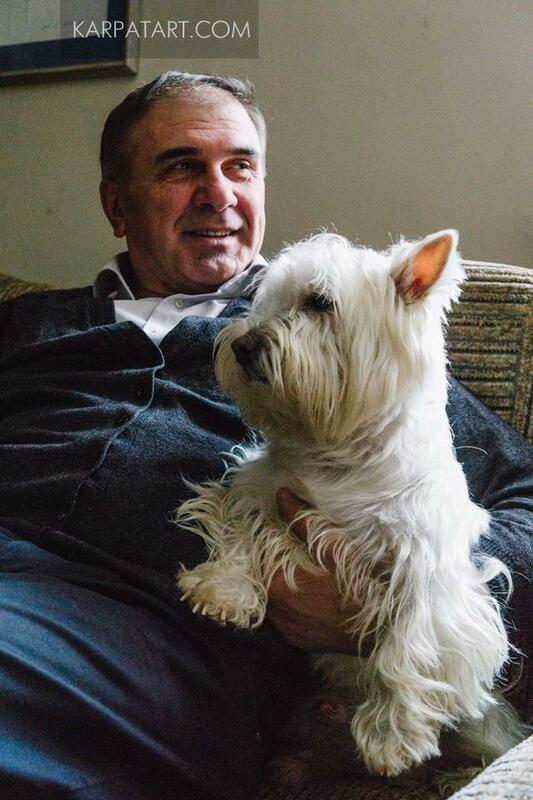 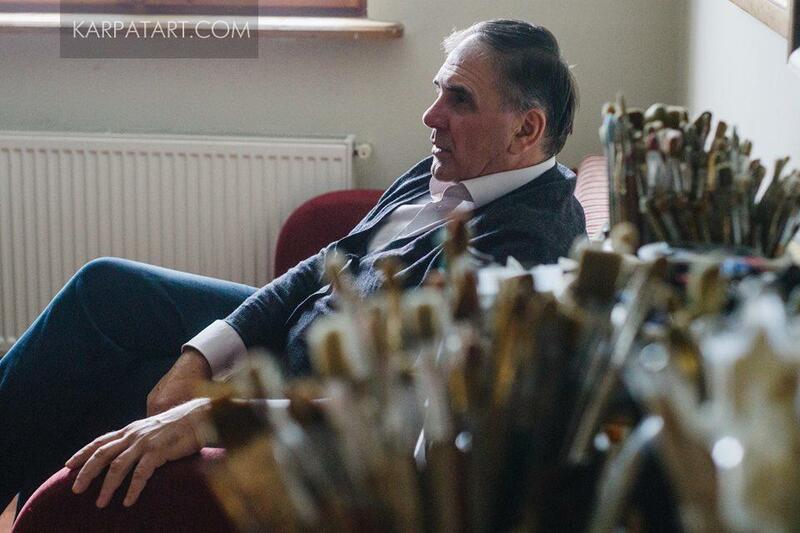 He lives and works in ordinary apartment of Uzhhorod. 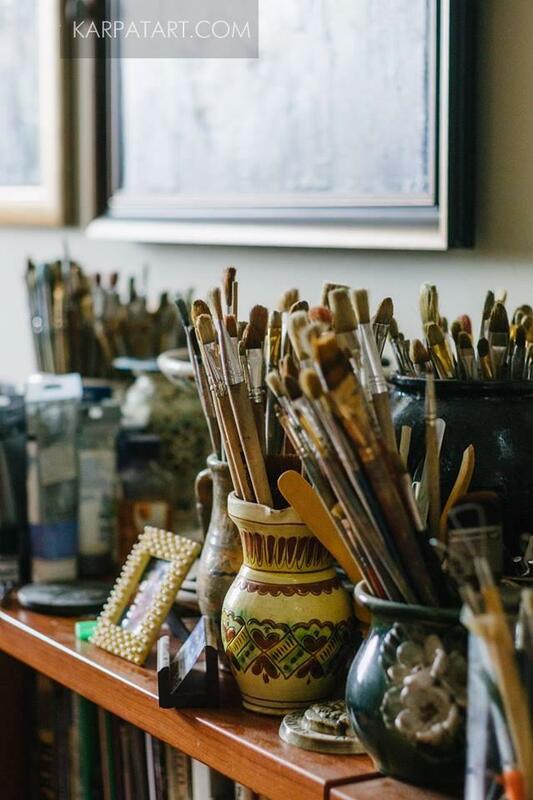 His studio is quite modest and, probably, like for most of his fellow artists, it is an integral part of the artist’s living space. 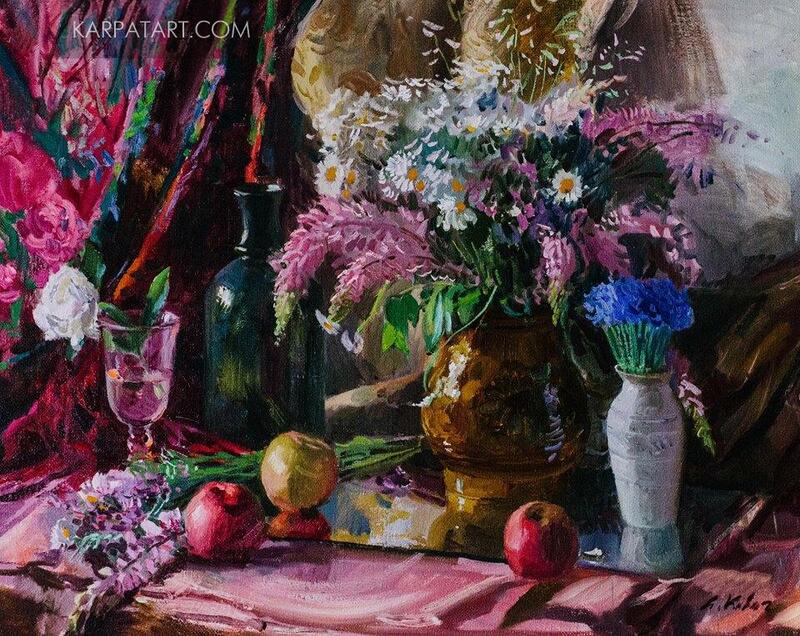 His active and fruitful creative work is not affected however. 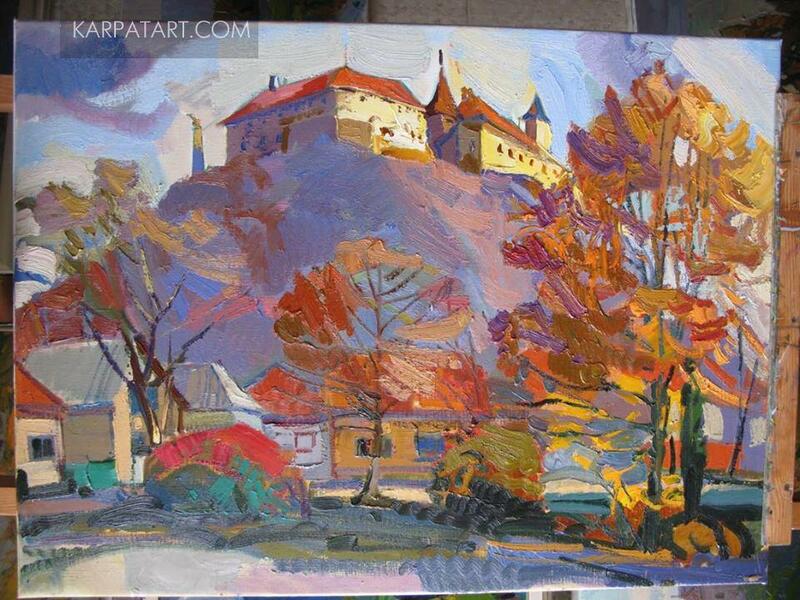 The main directions of his work are painting and graphics. 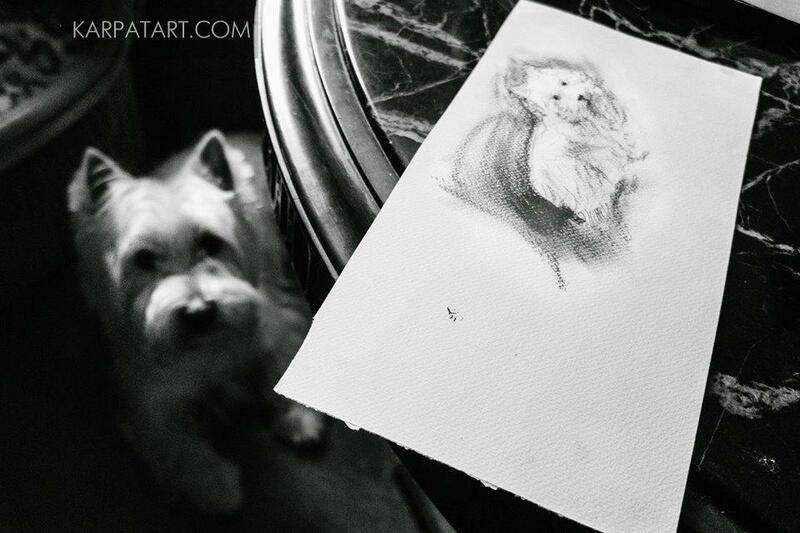 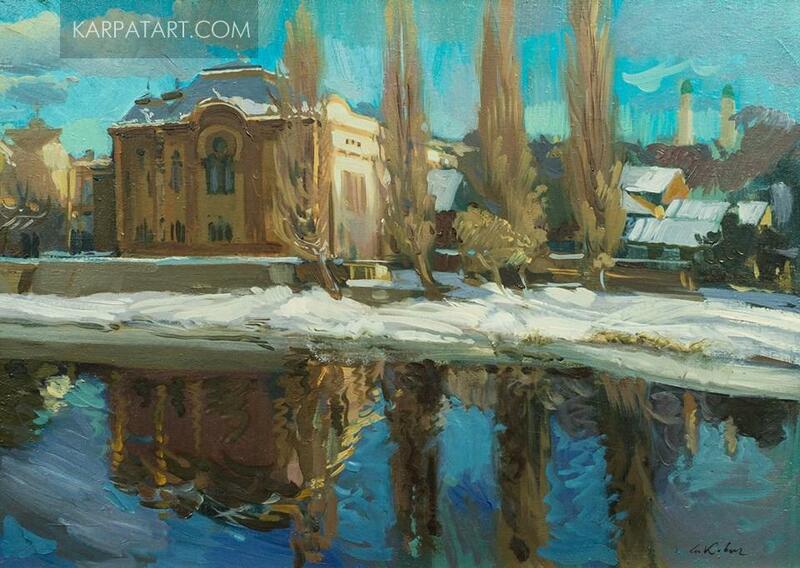 The art collection of the artist consists of landscapes, portraits, still lifes, narrative composition and cityscape. 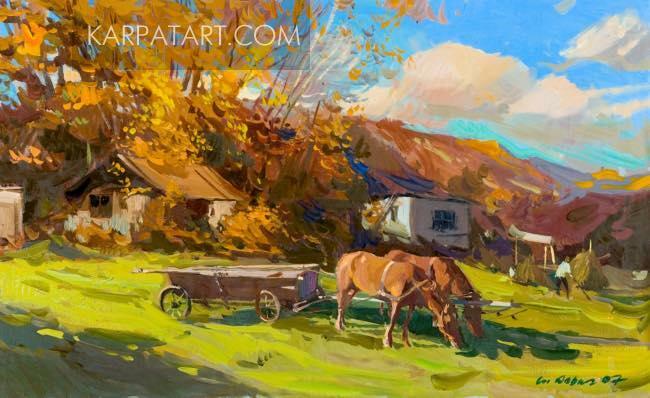 He painted the landscapes very carefully, from life, choosing the place and composition for a very long time and after that the work comes in one breath - “alla prima”. 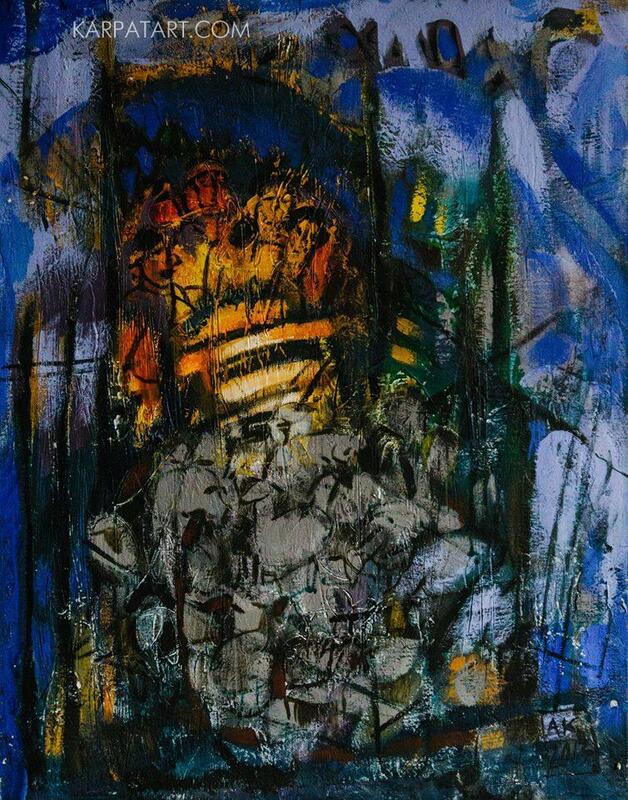 The artist is constantly in creative search, each time using a new spectrum of colours, decorative elements and images. 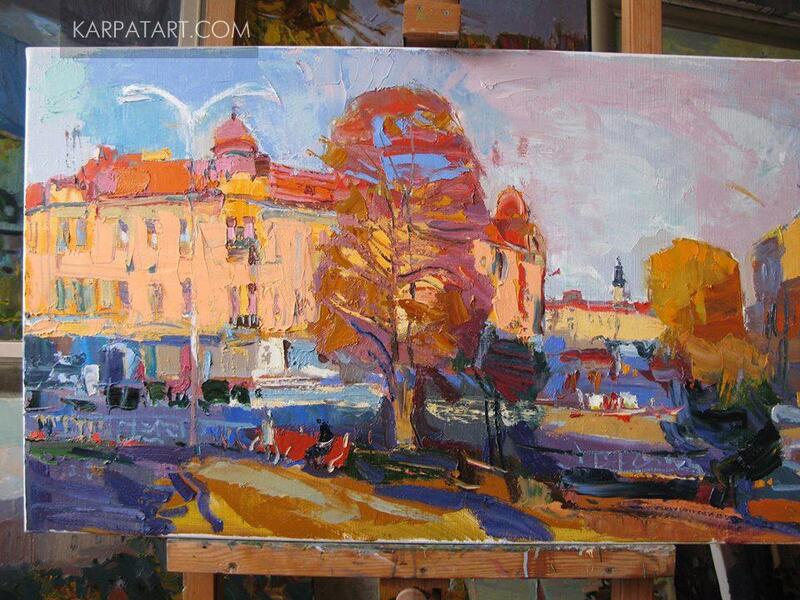 As he says himself: “my world is an elegant world of colours, which haunts, disturbs and attracts, which has no end”. 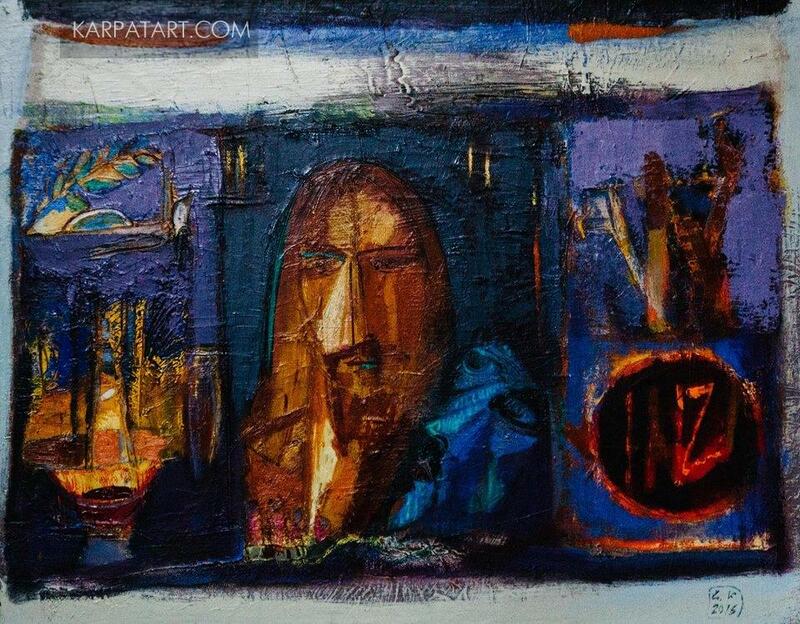 In recent years he realizes his creative vision in abstract works. 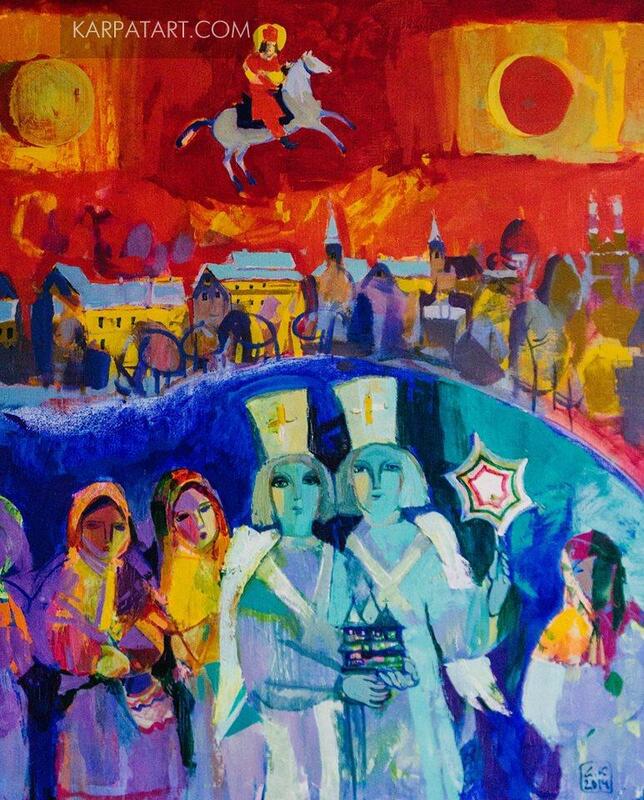 One of them had considerable success at the All-Ukrainian Triennale of Abstract Art in Chernivtsi. 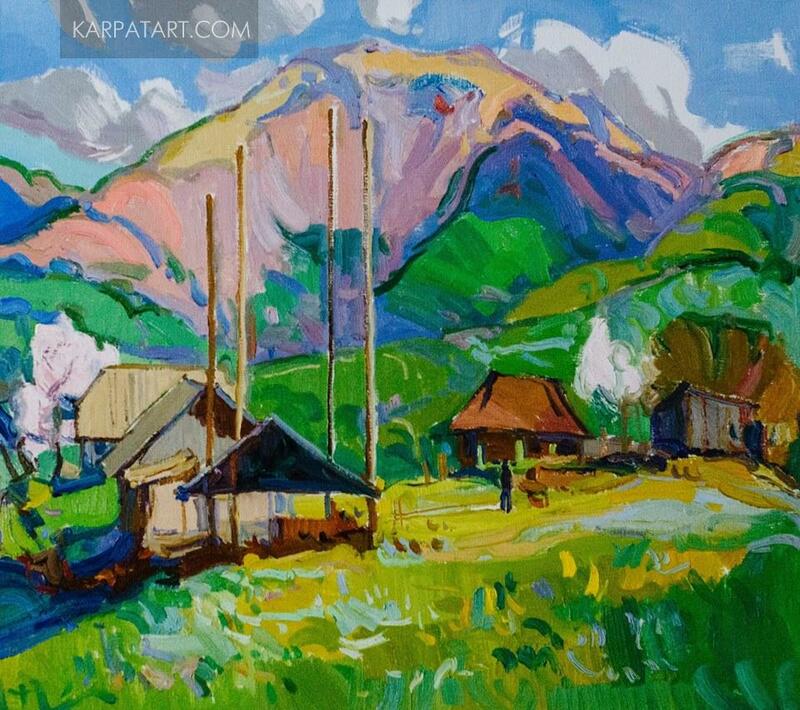 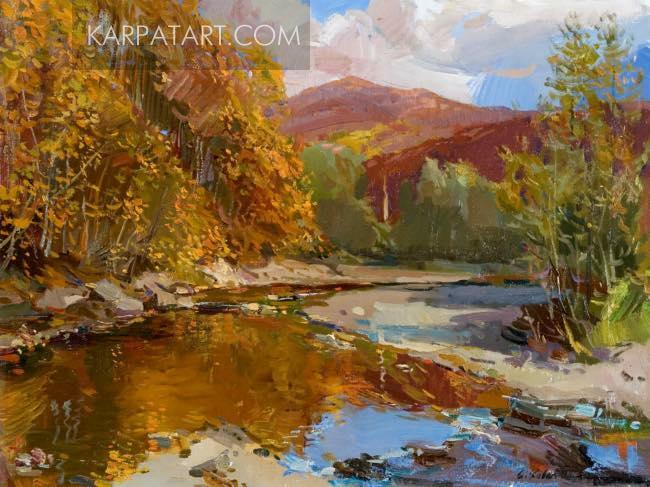 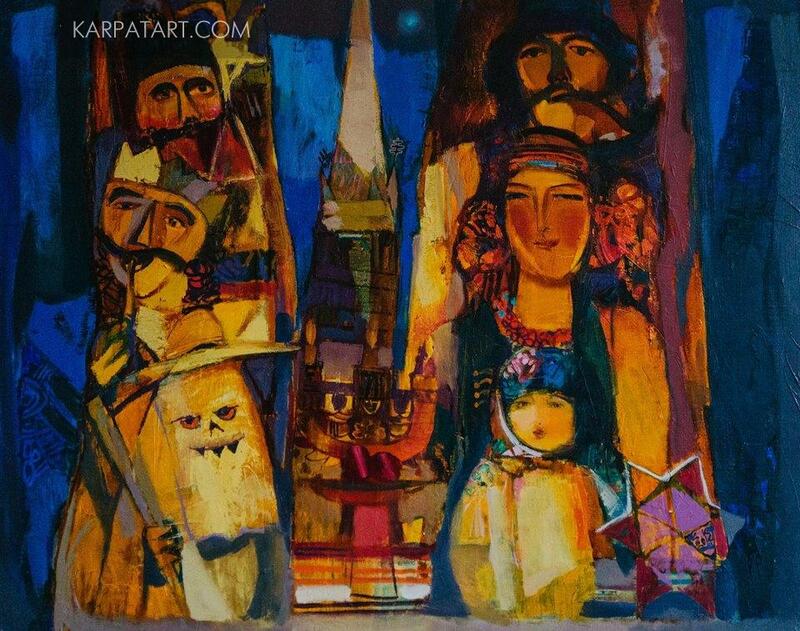 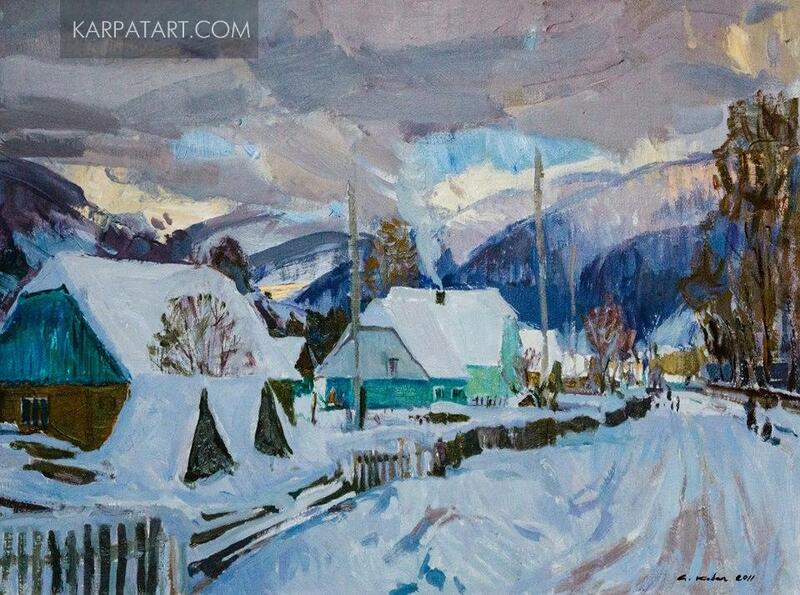 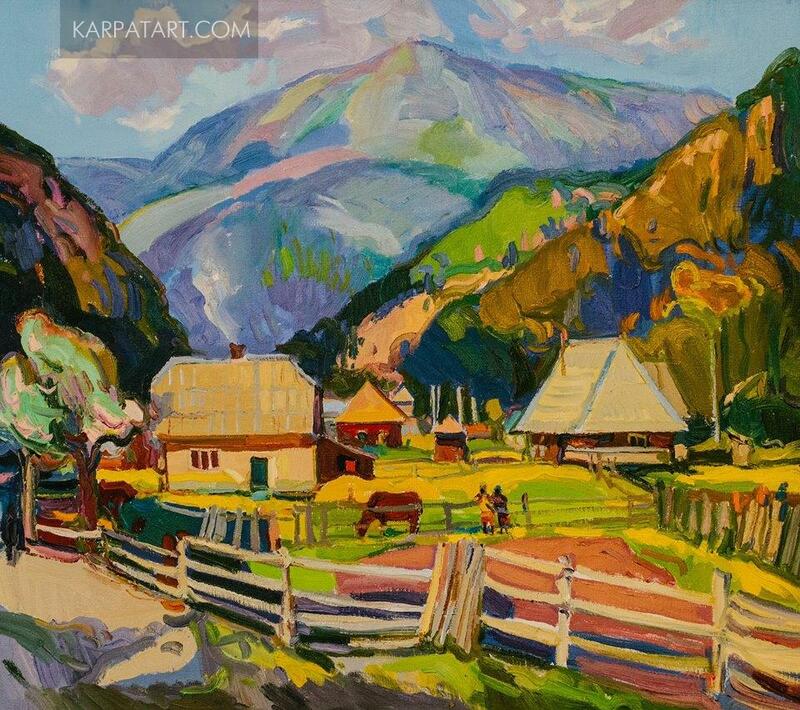 The artist`s paintings have a distinct style and occupy a significant place in the contemporary art of Transcarpathia. 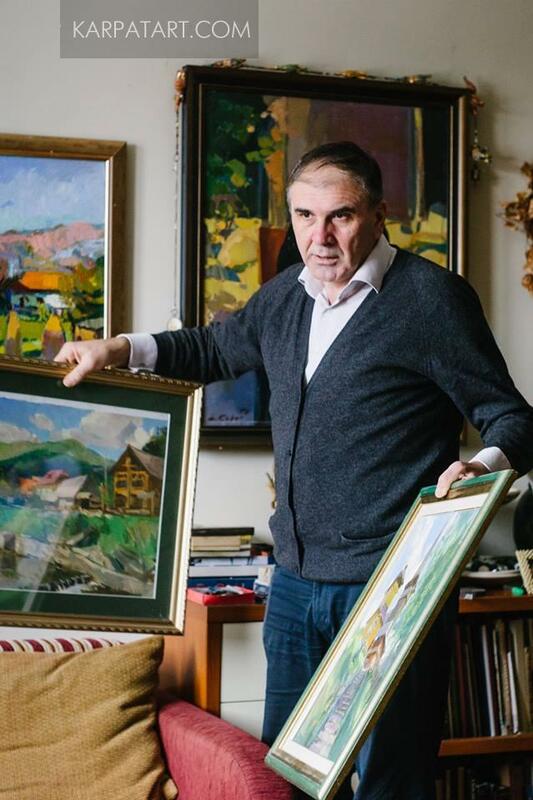 Anton Kovach is a multifaceted personality. 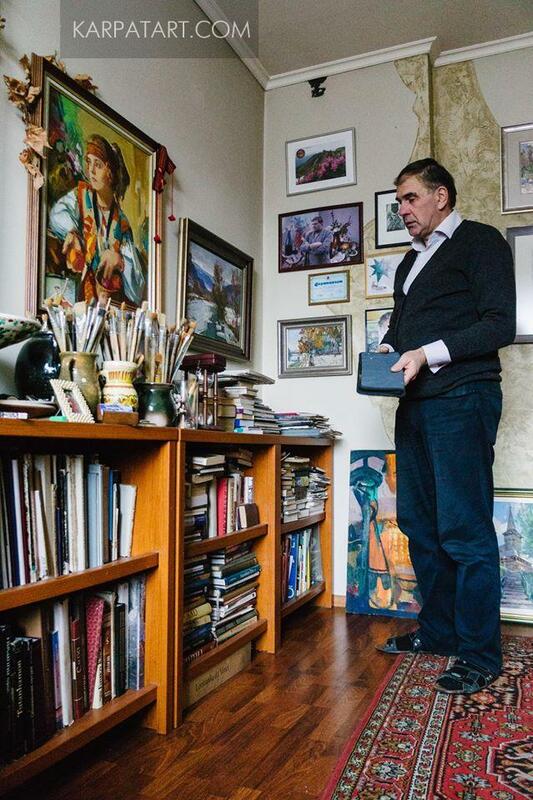 He is an author-compiler of the album “Adalbert Erdeli”, which received the award of All-Ukrainian Rating “Book of the Year 2007", as well as a highly qualified pedagogue – a teacher of the Transcarpathian Art Academy. 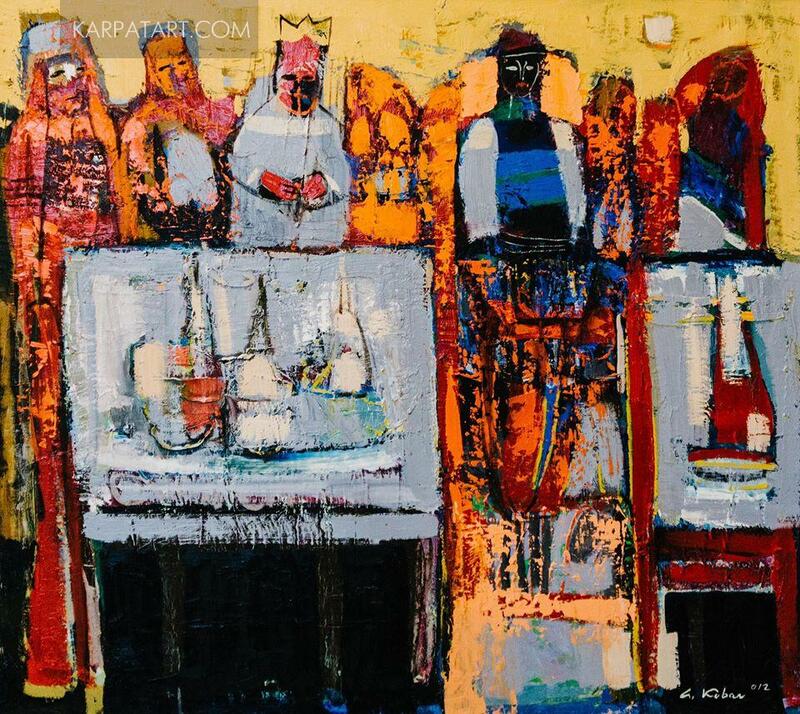 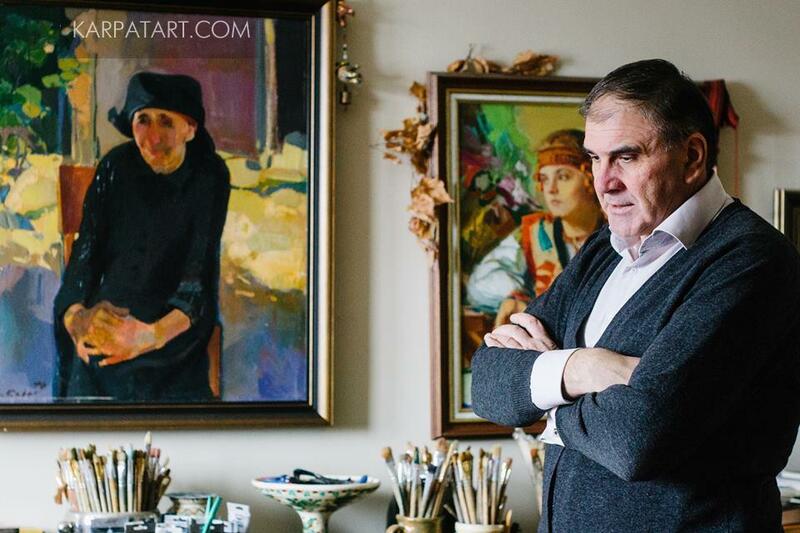 Among his students there are already notable names in the contemporary art such as Vasyl Kadar, Yaroslav Dulenko, Korneliia Kulbovska, Serhii Lakatosh, Ihor Misiats and others.